... What is Netlify? Netlify is the simplest way to build, deploy, and manage web projects on the JAMstack. We're changing the way the web is built by collapsing the modern front-end development process into a single, simplified workflow. Higher traffic sites are going to be happier What happens when things go wrong? But how do we build around that? 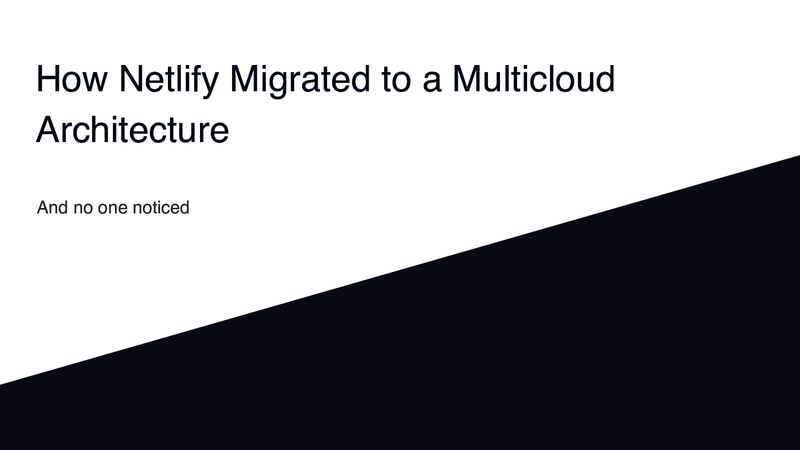 View How Netlify migrated to multicloud while no one noticed on Notist.